SEOUL, Aug. 30, 2013 — LG Electronics (LG) today unveiled the IPS 21:9 UltraWide All-In-One PC (Model V960) at IFA 2013 in Berlin, Germany. The new addition further expands the cinematically proportioned display range, claiming new territory in the PC market. At IFA, LG will also showcase its new 29EA73, 29EB73 and 29MA73 monitors. The comprehensive IPS 21:9 UltraWide lineup offers consumers an array of choices that increase multitasking and enhance entertainment experiences. The IPS 21:9 UltraWide All-In-One PC is an advanced desktop that delivers all the advantages of a 21:9 monitor. The V960 runs on Windows 8, offering a full-fledged PC experience and includes a NVIDIA GeForce GT 640M GPU for advanced graphics processing, making it the ideal setup for gamers and those in need of high quality graphics performance. 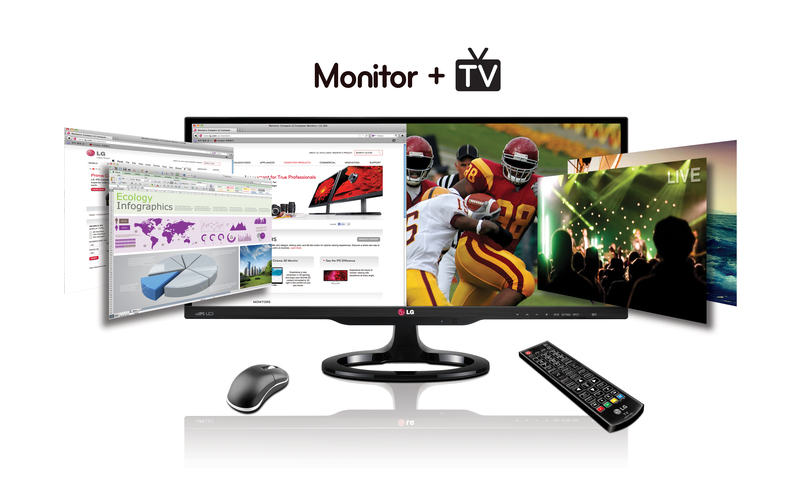 The expansive 29-inch unit offers picture-in-picture (PIP) functionality, allowing users to browse the internet while watching TV. 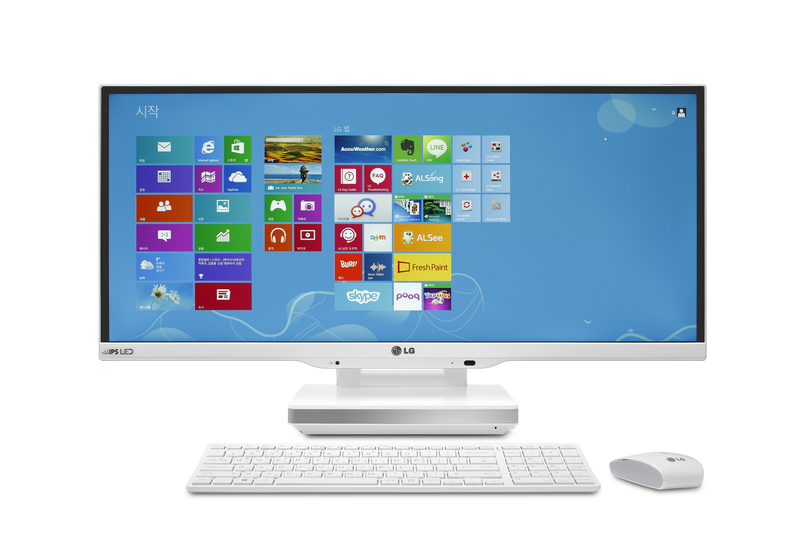 And LG’s AIO PC ships with a keyboard and mouse to provide an immediate out-of-box experience. The29MA73 not only comes equipped with a TV tuner but also features Extra View, which allows a portion of the screen to be utilized to access a TV schedule or another application, for a full IPTV experience. What’s more, the new 29EB73 includes an ergonomic stand that can be easily adjusted to the most comfortable height, helping to reduce stress in the office. 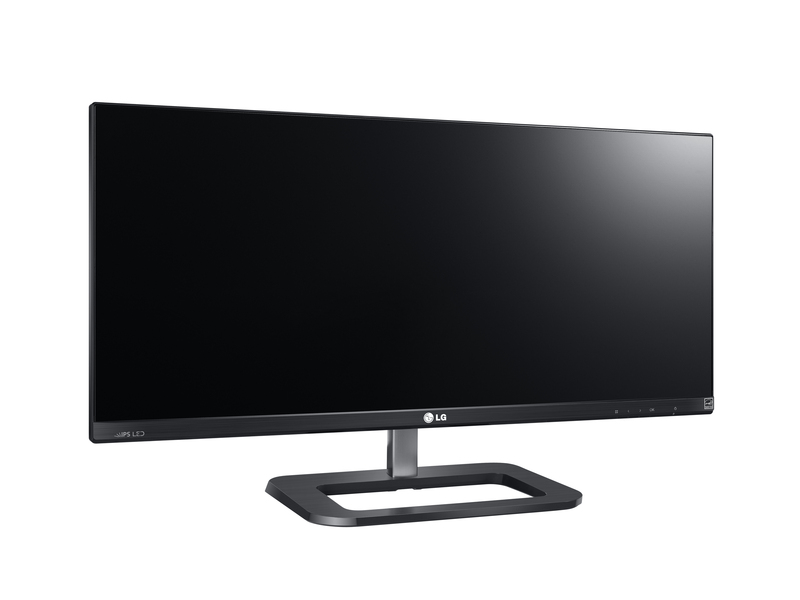 LG’s 29-inch IPS 21:9 UltraWide lineup makes multitasking more convenient with extra screen real estate for displaying more content and information on one screen. Well suited to the needs of the modern professional, these exceptional displays further enhance multitasking with 4-Screen Split and Dual Link-up features. These advanced devices are also ideal for gamers and movie buffs, as the 21:9 aspect ratio makes the viewing experience more immersive. The IPS 21:9 UltraWide series is Mac compatible and supports Mobile High-Definition Link (MHL), HDMI and DisplayPort, transforming the PCs into powerful entertainment hubs capable of mirroring and transmitting content from a wide range of devices. 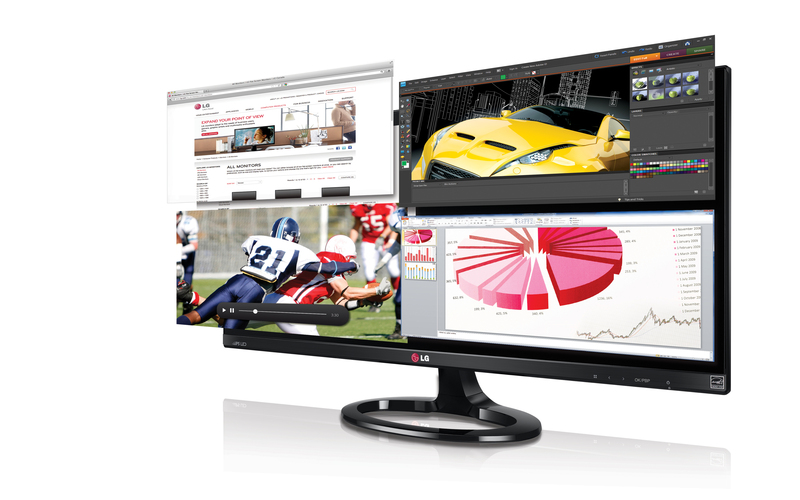 The outstanding picture quality of LG’s IPS monitors has garnered numerous product certifications and industry accolades, such as Germany’s Plus X Award. LG’s IPS display technology offers vivid, lifelike color reproduction, an extremely wide viewing angle and smooth image expression that minimizes eye strain. 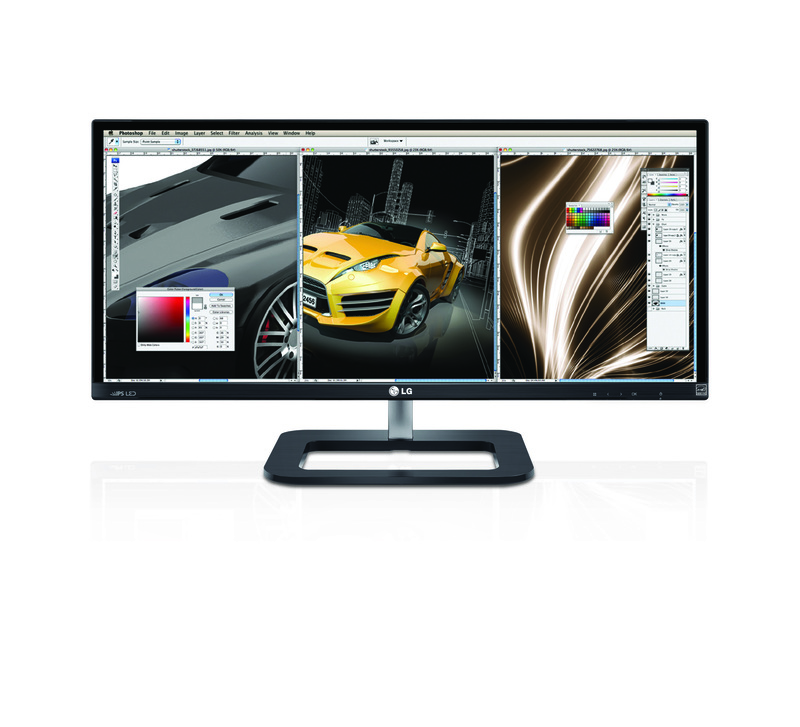 LG’s award-winning range of Home Entertainment PC products, including its latest Ultra PCs and Tab-Book, will be on display during IFA 2013 in Hall 11.2 of Messe Berlin.